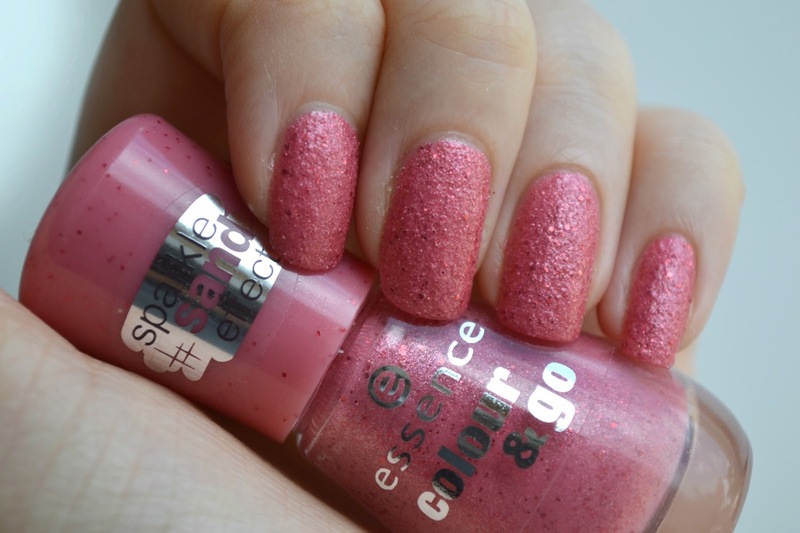 Just a little NOTD today of this gorgeous Sparkle Sand Effect Colour & Go nail polish from Essence in the colour Hello Rosy! I don't normally go for pinks on my nails but the sand and glitter look of this is just too cute. It's just something a bit different from normal. The application is a breeze with this, the brush is the Essence Colour & Go one which is short, wide and rounded at the top for perfect speed and precision. It's my favourite brush for nail polishes. The formula helps with this one too as the grainy texture seems to make the drying time super fast. You only really need 2 coats but I go for three and it leaves a satin/ semi-matte finish. Adding a topcoat doesn't really do much, it seems to just sink in and I'm not a fan of the shine because it takes away from the texture. The one downside is that it doesn't last long. The great texture means that it's pretty solid and it chips within a day or two. What do you think? Are you a fan of the sand look? *I received this at the Manchester Essence Event but that has not changed my opinion!